Vita Journal – Record your daily moments of life and special occasions. Include Location, Weather and Temperature*, Photos* and Tags. Batting Average is a personal batting manager to track and help improve your batting average. At bat, you track every swing, every strike, and every hit (singles, doubles, triples, and homeruns) using your Apple Watch. On base, you track bases stolen, outs, and runs scored. Batting Average has two modes, In-Game mode and Practice mode. Track your batting average over time and improve your performance by comparing batting averages from every time you step up to the plate: every game and every practice. Live Happier with Wants and Needs – Gratitude Journal / Diary! A brand new app designed to help organize your personal goals, ambitions, and expressions of gratitude into three simple categories: Wants, Needs, and Thanks. 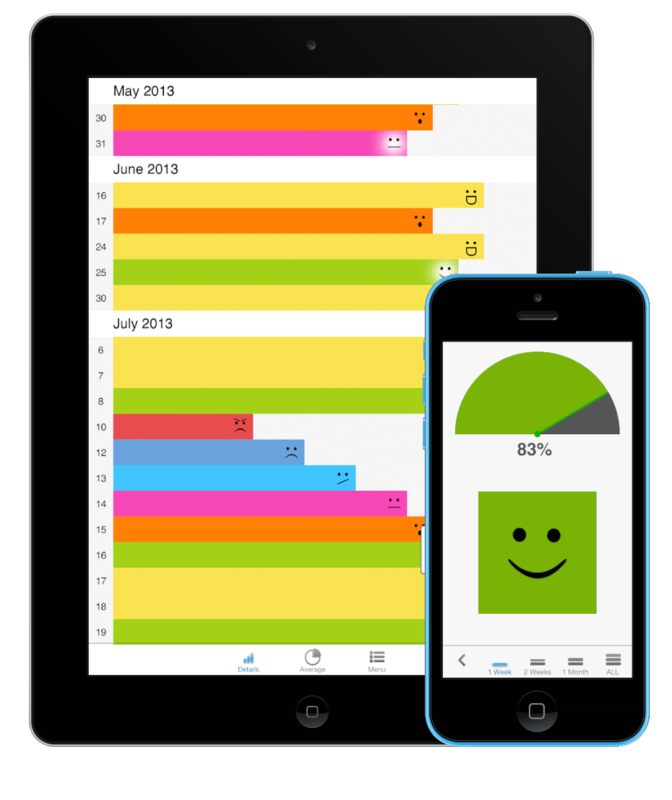 The app not only gives you the ability to personalize your thoughts, but it also presents your custom data with graphic charts. These charts help you visually understand if your life goals are in or out of balance. Wants and Needs was thoughtfully designed to help you keep your Life in Perspective! 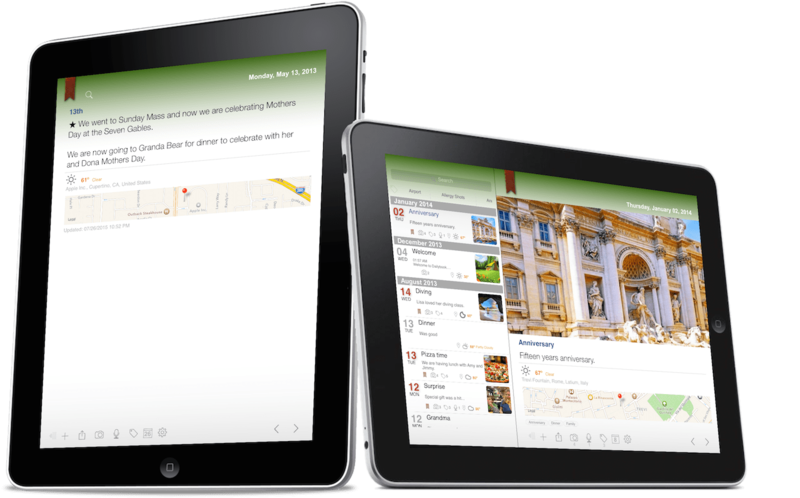 Dailybook is a one-of-a-kind journal that features the ability to organize entries in multiple books and add multiple photos to each entry. It is said that a picture is worth a thousand words; organize your life and memorable moments with unlimited photos, audio recordings, and tags. Dailybook also supports multiple entries per day including past or future dates. When is the last time you expressed your appreciation for someone special in your life? Take a minute to think of a moment when you were truly happy. Who made that moment so special? Let them know! 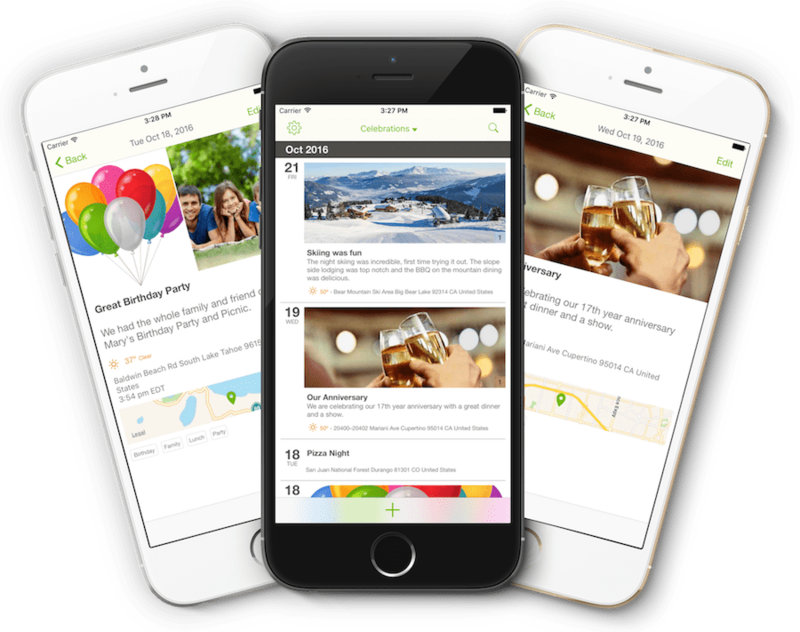 Introducing 10 Reasons for iOS, a sister app of Wants and Needs – Gratitude Journal. 10 Reasons is a great way to express gratitude for the people in your life. Enter the name of someone you’re grateful for and up to 10 reasons you appreciate them. Keep it private or send your list to that person as an image, text, or PDF. Sharing options include social media like twitter and Facebook, email, and text. Reduce debt and save money with Loantune! View different interest and time saving scenarios by making extra “What If” principal payments per month and/or per year on your fixed rate loans. 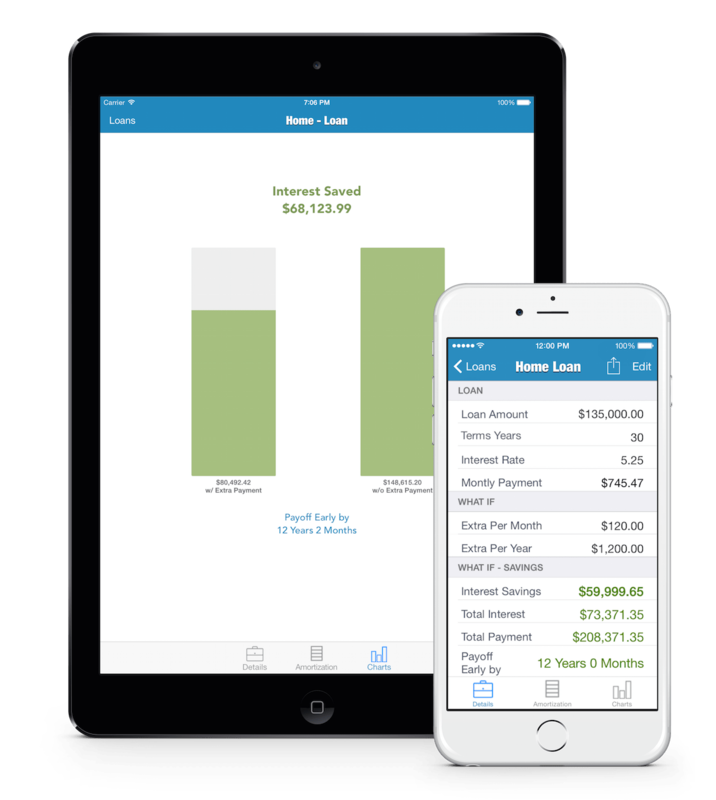 Chart your savings across your iOS devices with iCloud syncing. Quickly enter “What If” scenarios to calculate money saved on interest and years/months cut from your fixed loans. View amortization schedule to see benefits for each month. Share by email loan details and/or amortization schedule. Never forget a birthday or anniversary again! With 321 Countdown, create unlimited countdowns preceding an event, or time passed following an event. Enable local alert notifications and sync countdowns across your iOS devices with iCloud. Alerts in advance of events or following events. 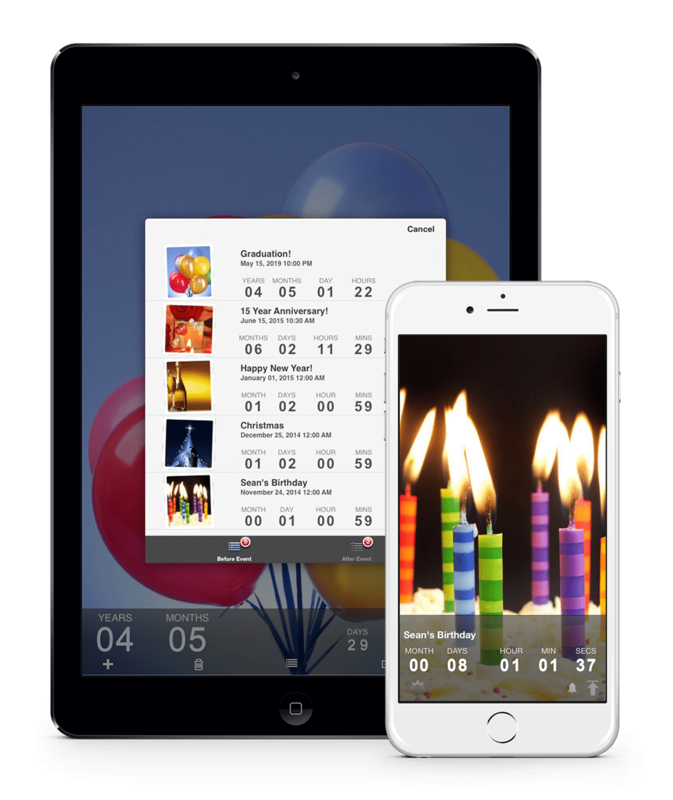 Countdown backgrounds are customized with images from your photo album or choose from 321 Countdown‘s default stock photos. Nancy looked away a few times but each time the image of light remained. She asked, “Who are you?” never realizing that she would have an answer or understanding. She heard internally, “I am Jesus, Son of the living God.” No words on earth could explain that moment. Nancy said what do you ask of me? Jesus said, “To bear witness that I am the Living Son of God.” After those words were spoken, the lifelike image and light was no longer visible. Nancy continued to be blessed with more and more mystical experiences. An Angel preceded the Blessed Mother (Our Loving Mother) visits to Nancy. Apparitions of the Blessed Mother occurred from 1990 to 1998. Presently she continues to be blessed with visions particularly during the Holy Mass. • Daily Reading – Daily random reading from the messages. • Readings that fall on today’s date – Anniversary messages on the 13ths are shown if there are no past messages for today. • Prayers – 9 categories containing 72 prayers. • Holy Card – Picture of Our Loving Mother containing the Angel of Peace prayer. 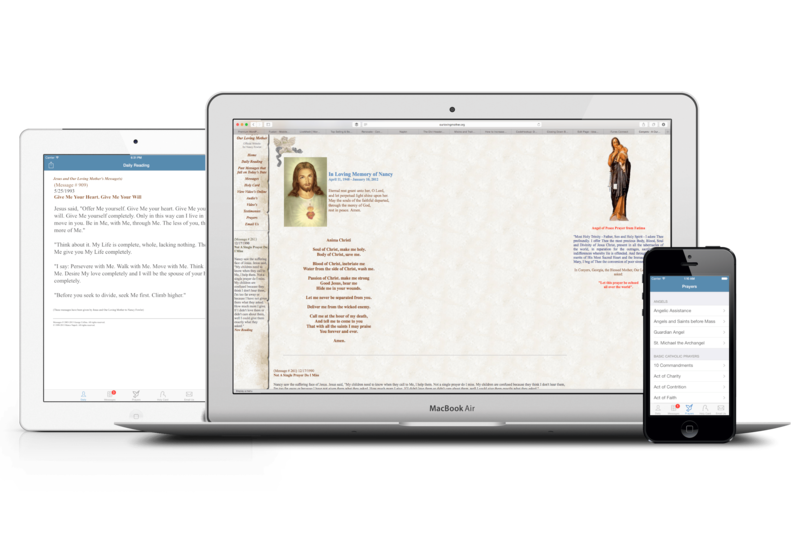 • Email Us – Send email prayer requests, conversion, letters, correspondence, questions and suggestions. According to a decree of the Congregation for the Doctrine of the Faith, approved by Pope Paul VI on October 14, 1966, it is permitted to publish, without an imprimatur, texts relating to new revelations, apparitions, prophecies or miracles. However, in accordance with the regulations of the Second Vatican Council, the publisher states that we do not wish to precede the judgment of the Church in this matter, to which we humbly submit. A simple and fun way to track your mood. Quickly record your mood with colorful emojis and include an optional 140 character description. Daily Mood is perfect for those tracking mental health, affects of medications, and those tracking mood changes from gratitude journals, exercise, etc. iVenting is a fun tool to let off steam in a quiet and reserved visual manner by viewing images and sounds. 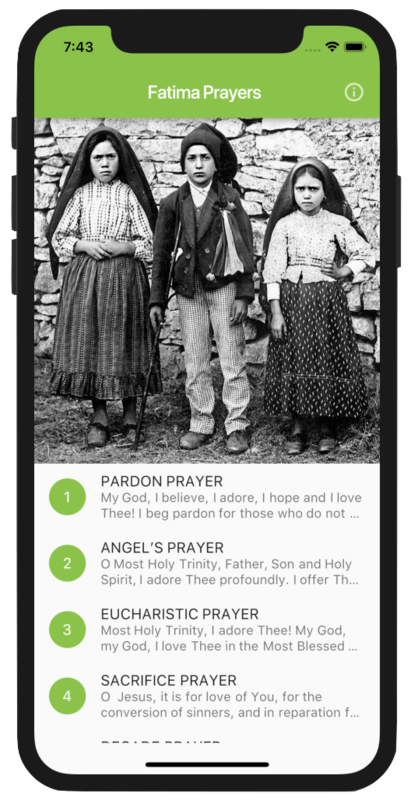 The Fatima Prayers app was inspired to spread devotion in adoring and making reparations to Jesus Christ present in all the tabernacles of the world. During World War I, Pope Benedict XV made repeated but forlorn pleas for peace, and finally in May 1917, made a direct appeal to the Blessed Mother to intercede for peace in the world. Just over a week later, Our Lady began to appear at Fatima, Portugal to three shepherd children, Lucia dos Santos, age 10, and her cousins, Francisco and Jacinta Marto, ages nine and seven. Fatima was a small village about 70 miles north of Lisbon.